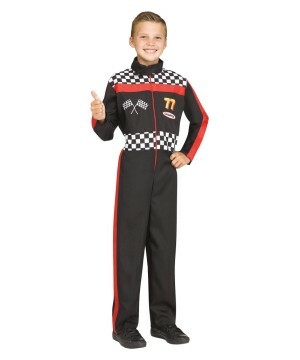 Boys Race Car Driver Costume. Includes racing suit. Available in boys size Small (4-6) and Mediume (8-10). Do you have the need- The need for speed- Well, then this is the right costume for your little speedster. 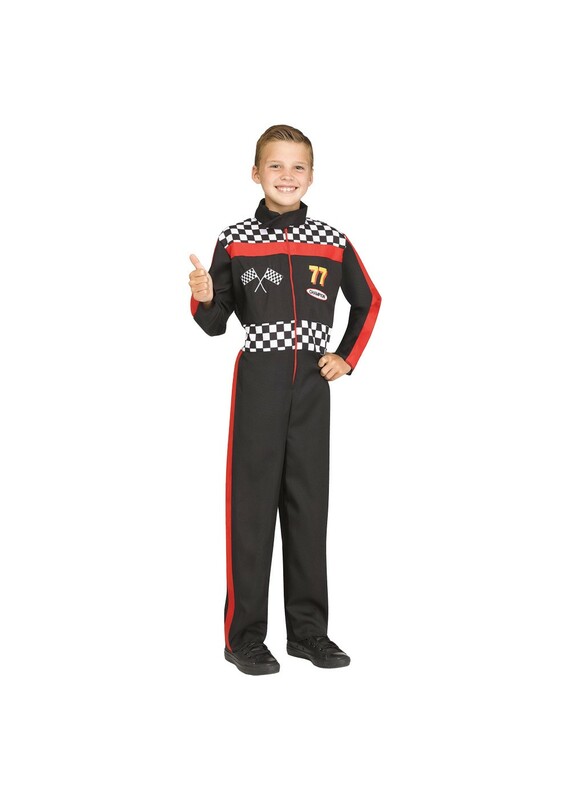 Decorated with the checkered flag pattern across shoulders and waist with realistic-looking sponsor patches in front, this jumpsuit will make them feel like they're already on the track. Start your engines! 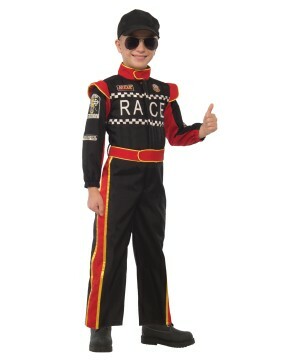 Review(s) for " Boys Race Car Driver Costume"